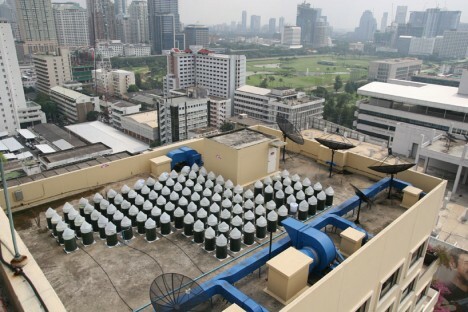 The large, flat rooftops of industrial buildings are an ideal space for the installation of urban farms, taking advantage of all that sunlight and wasted real estate. 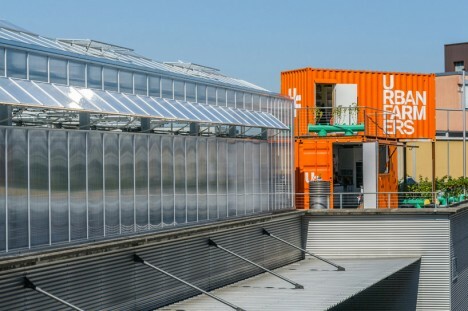 Architect Antonio Scarponi has designed an ‘Urban Farmers Rooftop’ in Basel, Switzerland featuring prefabricated modules including reclaimed shipping containers to house an aquaponic system producing fish and vegetables. 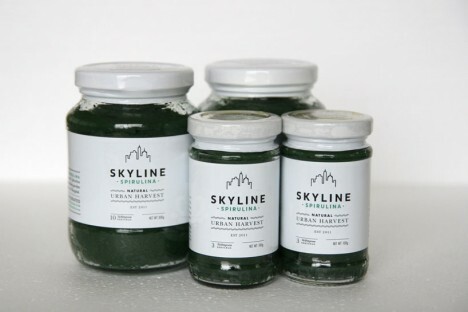 High-protein, edible ‘Skyline Spirulina’ algae is grown in dozens of barrels on top of a skyscraper rooftop in Bangkok. 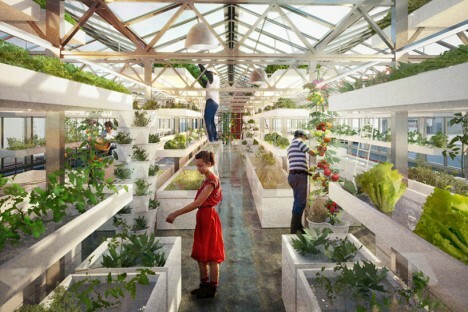 Sustainable food production company Energaia transforms previously unused rooftops into urban farms to produce large quantities of this vegetarian alternative to meat, which is typically added to pass and smoothies. 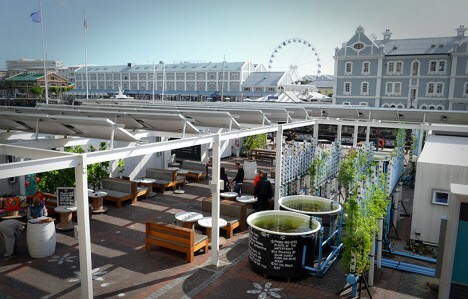 The new ‘Moyo’ development in South Africa brings together a two-story waterfront restaurant, open air market and urban farm with stalls made of prefabricated modular units sheltered by a solar panel canopy. 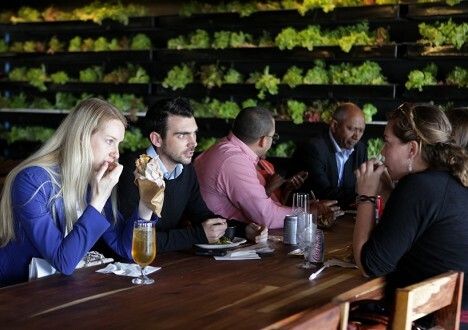 Fresh greens and tilapia are grown on-site for the restaurant, and an aquaponic green wall inside the restaurant doubles as a decorative focal point. The project aims to tell a story about food, from production to plate, focusing on the culinary experience from growth to preparation to consumption to fertilization via food waste. 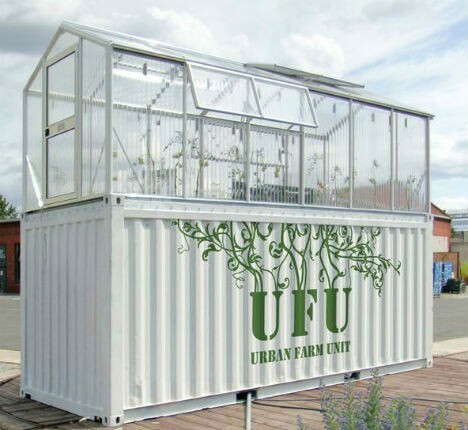 Build your own shipping container-based urban greenhouse with the open-source Urban Farm Unit by Damien Chivialle, which doubles the height of the container with a greenhouse extension while maintaining a small footprint and easy-to-move configuration. 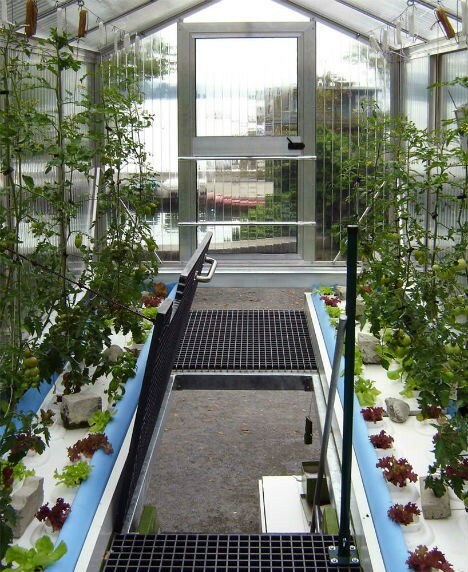 Employing aquaponics, the farming system can be set up virtually anywhere there’s a little bit of space available in a city, and three have already been installed in Zurich, Berlin and Brussels. Architect Vincent Callebaut is renowned for fantastical concepts exploring future sustainability, particularly self-sustaining miniature cities and floating post-apocalyptic societies. 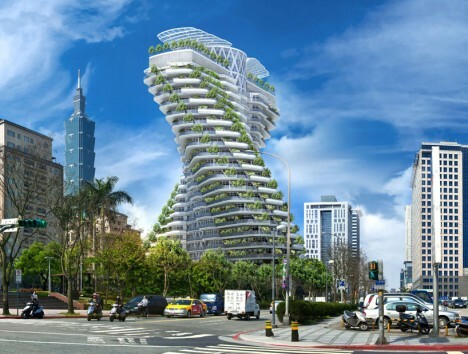 This particular concept for a twisting skyscraper is a bit more immediately achievable. Agora Tower is a high-density multi-purpose structure combining residences with organic vegetable gardens, orchards and medicinal greenery surrounding a circular light well. 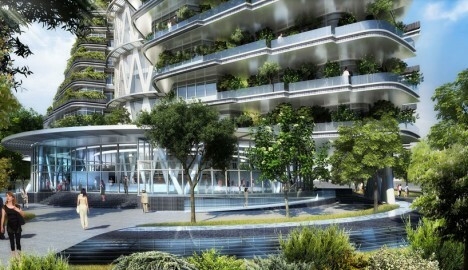 The vertical garden and farm would be cultivated by the building’s tenants. The twisting shape enables ascending open-air terraces with plentiful access to sunlight on all levels.